Prix de Lausanne winner in 1996. 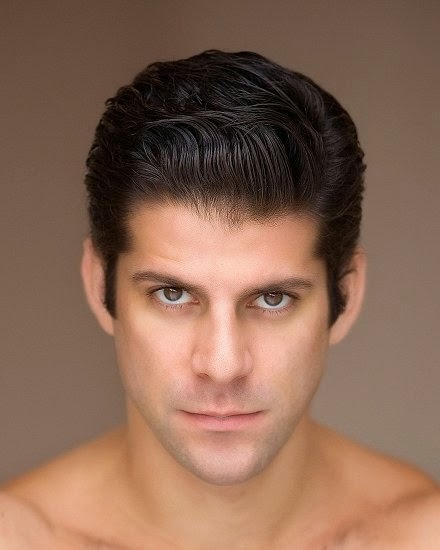 Gomes first joined New York's prestigious American Ballet Theatre in 1997 and was promoted to principal dancer in 2002, a position he shares with Roberto Bollo. In 2008 was a winner of one of the most prestigious awards in ballet, the Prix Benois de la Danse in Moscow for his role as Othello in Lar Lubovitch's ballet Othello. Gomes has been a guest artist with the Dutch National Ballet, the National Ballet of Canada, the Houston Ballet, the Teatro Colón in Buenos Aires, the Teatro Municipal do Rio de Janeiro, the Kirov Ballet, and the Royal Ballet in London. He does seem conservative in his web presence, I could not find any modeling ads which is surprising given his striking good looks. He is currently directing and choreographing ballet productions in addition to dancing on the world stage. 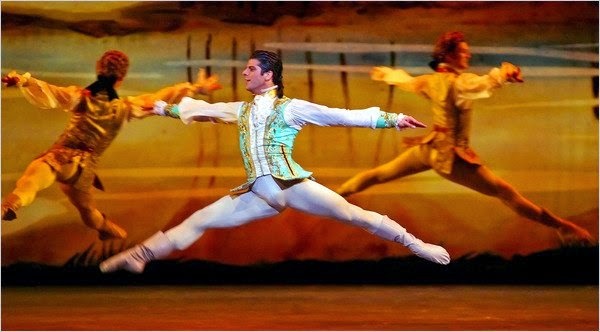 Marcelo Gomes in openly gay and has never hidden this, in a field in which such admissions are surprisingly infrequent.